Grab your keys and go with moto folio, a super slim case that securely holds a credit card or ID while protecting your moto z from everyday bumps and scratches. 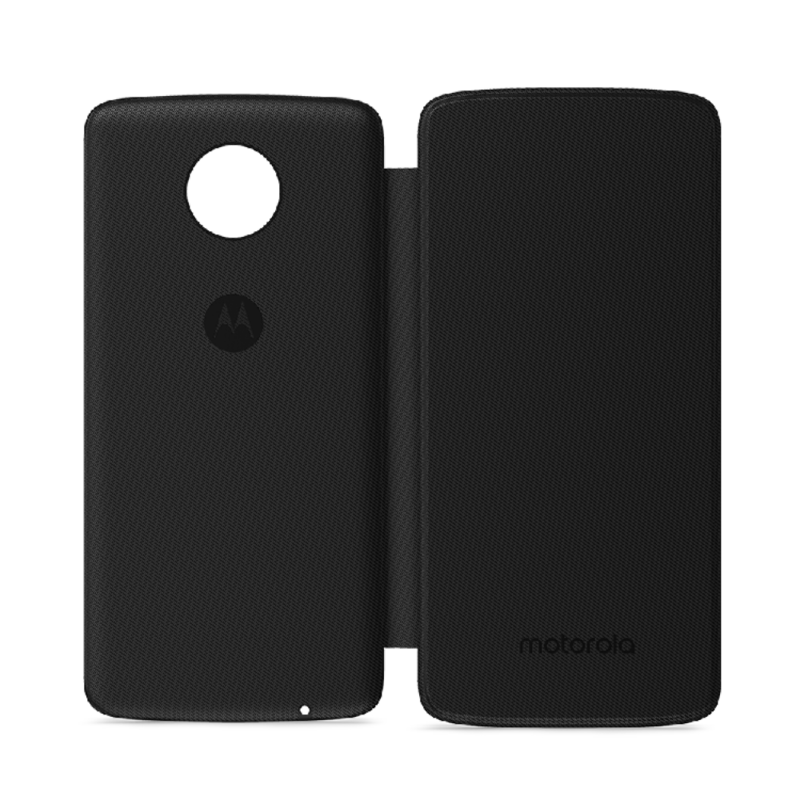 moto folio protects your moto z from everyday bumps and scratches, while adding a touch of style and compact storage for a credit card or ID. Chuck your phone in your pocket or bag and go. moto folio protects against everyday scratches and bumps. The internal card slot holds one credit card or ID. A secure magnetic closure keeps the case from popping open. Available in Super Black, Fine Gold, Grape Juice, Felt Grey, Melange Pink, and Oxford Blue designs. moto folio is compatible with any phone in the moto z family. Motorola Mobility LLC and eBuyNow eCommerce Ltd. have teamed together to provide global sales and support for the products found on this site. eBuyNow manages the site, the server, and its transactions as an agent of Motorola Mobility and Motorola Official Licensees who manufactures these products.